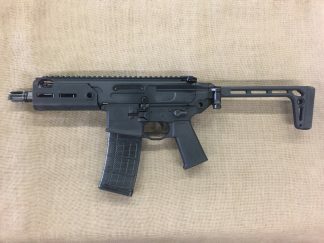 New AAC T-Rant 9mm supressor. 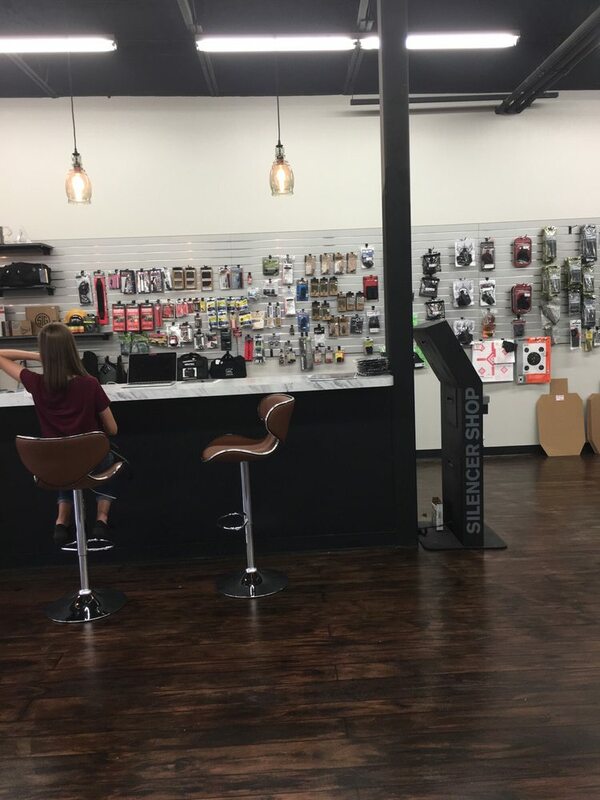 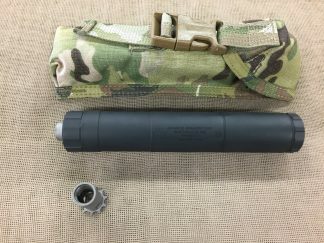 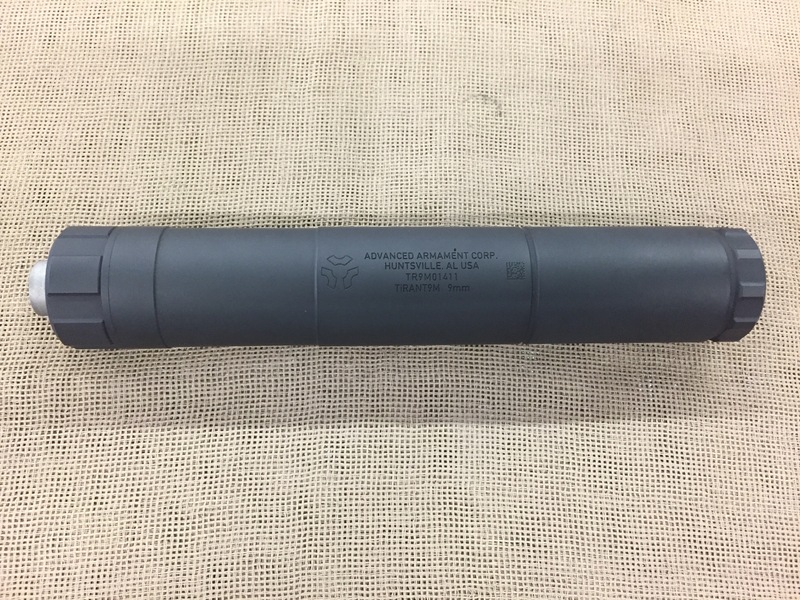 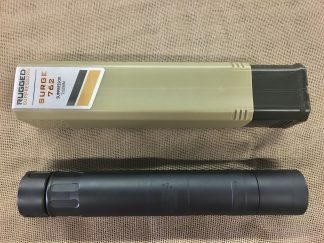 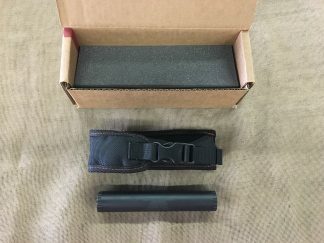 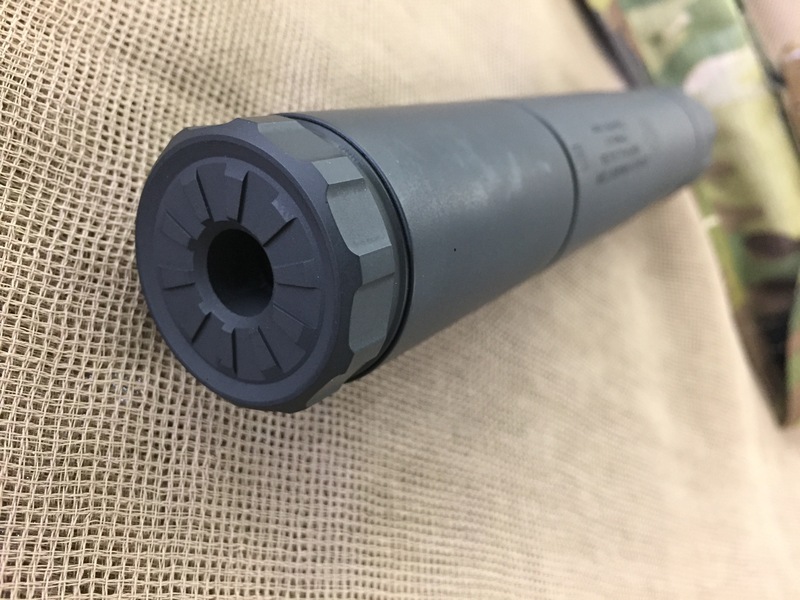 Unique modular design allows for full length (8″ and 9.3 oz) use or removal of the modular end unit leaves a very light and handy 5.8″, 7.7 oz suppressor. User serviceable (with color coded baffles to ensure proper reassembly) and constructed of aluminum, stainless and titanium the Ti-Rant 9m is full auto rated and includes both 1/2×28 and 13.5x1LH pistons as well as soft case. 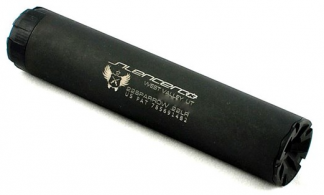 One of the highest quality and most versatile cans available.